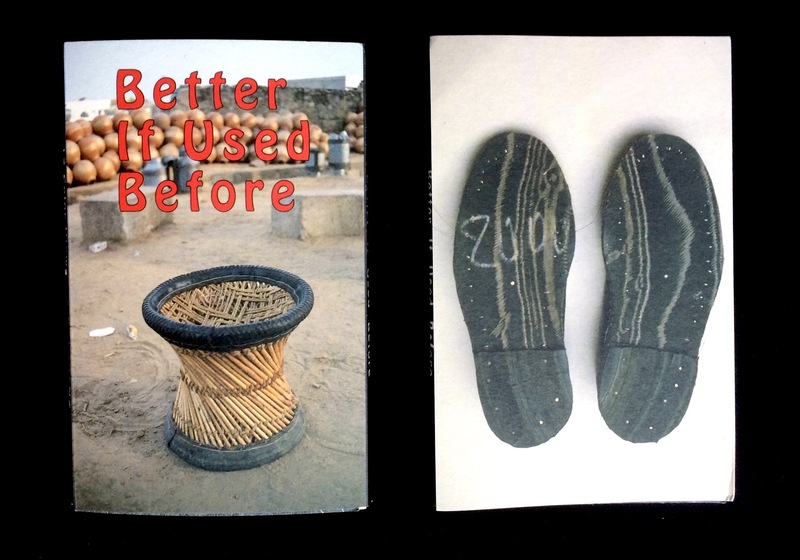 The photographs in this postcard book document the use of materials and objects in ways they weren’t intended for, the second time around, by cultures in both industrialized and developing nations. People often do not recycle consciously: instead they are absorbed with solving problems using the materials at hand. 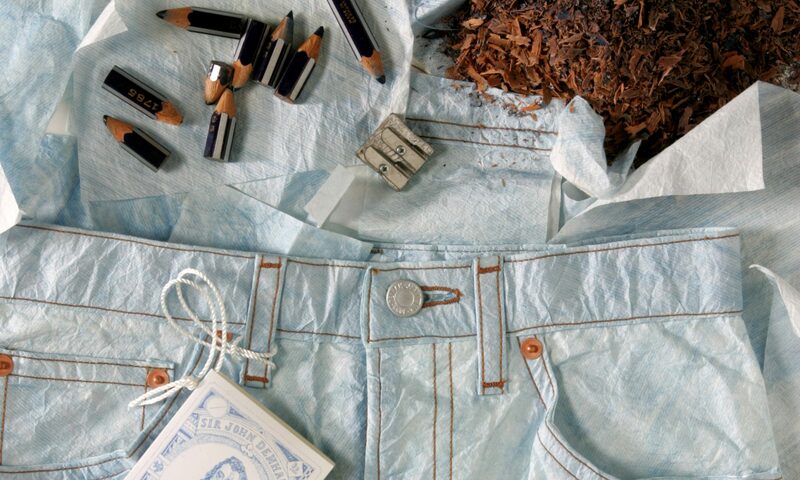 These images were selected from over 1,500 photos of recycled objects. Although many come from poor nations, economically speaking, the recycling conveys a wealth of ingenuity. It is the artist’s hope that these pictures will inspire others to use resources wisely and creatively. Chairs lined with bicycle tires. Jaipur, India, 1994. Old skis sawed off to make sled for transporting rocks. Maine, 1991. An old shirt protecting a parking meter from paint. Boston, MA, 1990. Fender made into a bench. Altiplano, Bolivia, 1987. Recycled lottery tickets as cups for candles set afloat in the Ganges. Varanasi, India, 1994. Paper scrap from typography shop used to line type drawers. Bologna, Italy, 1987. Plastic bag used to graft wild olive plant. Calabria, Italy, 1988. Perch made from lamp, garbage can cover and catfood tins. Maine, 1992. Broom handle fashioned from a recycled can. New Delhi, India, 1994. License plate as reflector on fence post. Manchester, MA, 1992. Monkeys eating from newspaper cones made by peanut vendors. Orissa, India, 1994. Tire soles for shoes. Bologna, Italy, 1986. 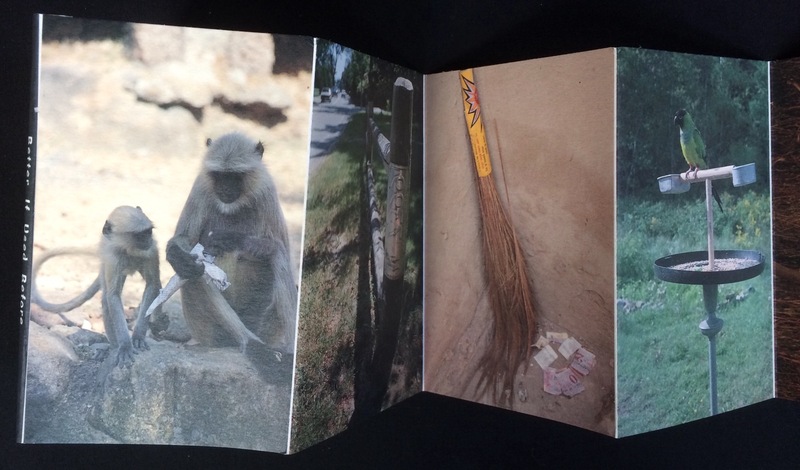 This postcard book was published with a grant awarded to Angela Lorenz by a foundation wishing to remain anonymous. It is being distributed to approximately 30 non-profit environmental organizations in order that 100% of the purchase price may directly support each group. Lorenz is an artist and poet normally occupied with the creation of unusual handmade books, usually in limited editions, commonly known as “artist’s books”. Her work focuses on the customs and behavior of ancient and contemporary cultures, including studies of language and materials that evolve over time. Examples of her books may be found in many public collections, especially in North America and England, including the National Gallery of Art, Washington, D.C., the Boston Museum of Fine Arts, the British Library and the Victoria and Albert Museum, London. Recycling in different cultures is a topic she has been researching for nine years.